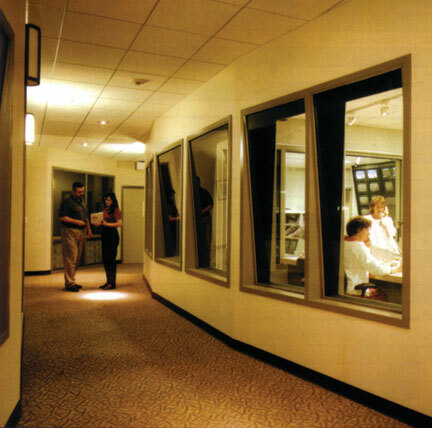 Our acoustical windows are built exactly to your specifications and are designed to outperform the competiton while costing much less. - Performance tested & certified at an affordable price. - Custom engineered and manufactured to any size at no extra charge. - Anodized aluminum frames with standard frame finishes of natural aluminum and bronze. Also available in other specialty finishes. - Quick turnaround delivery upon order! - Easy Installation. No need for a glazing contractor or special tools required. Installation instruction and all necessary shop drawings included. Note: using custom glass may change the STC value. Note: glass shipped separately to avoid breakage, easy clip in glass installation at job site. - 4° angled glass for max acoustical performance. 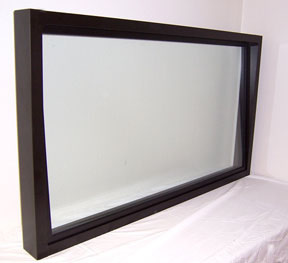 - Optional tinted, one-way mirror pane, argon, safety glass and etc. 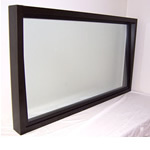 - 1" insulated glass unit with 2 pieces of 1/4" laminated glass..
- One insulated glass unit with 2 pieces of 1/4" laminated glass plus an air cavity and an additional pane of 1/4" laminated glass. - Two insulated glass units with 2 pieces of 1/4" laminated glass plus an air cavity and an additional pane of 1/4" laminated glass.